In all, 23 names. 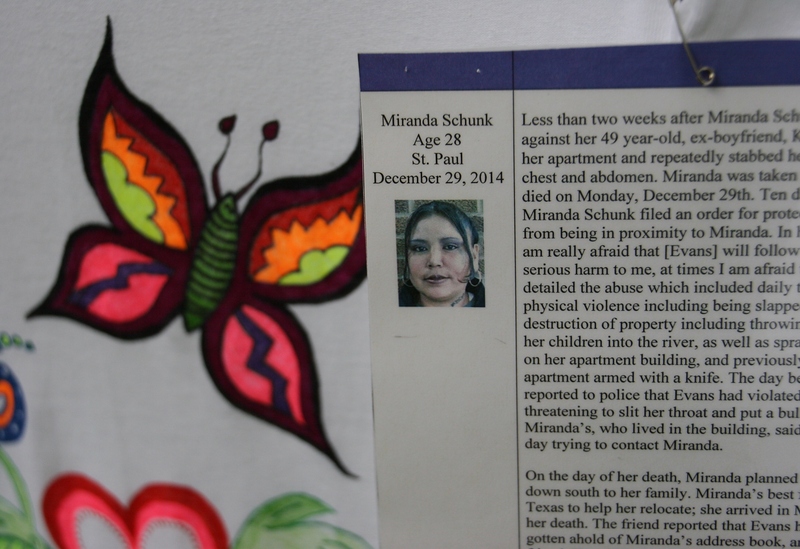 Twenty-three women, children and men who lost their lives in Minnesota last year as a result of domestic violence. 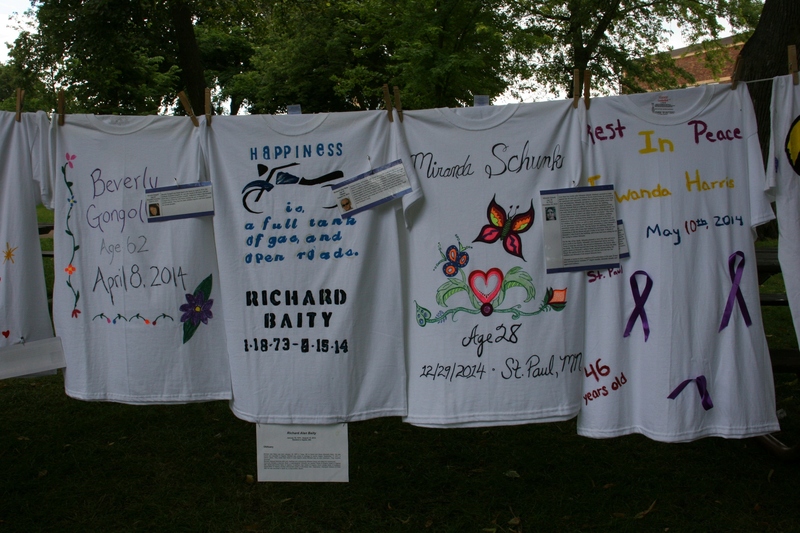 To hear those names read Sunday afternoon against a backdrop of 60 white t-shirts fluttering in the breeze marked a powerful moment as the Crisis Resource Center of Steele County, Redeemer Lutheran Church and the Minnesota Coalition for Battered Women brought The Clothesline Project to Owatonna’s Central Park. The Rev. 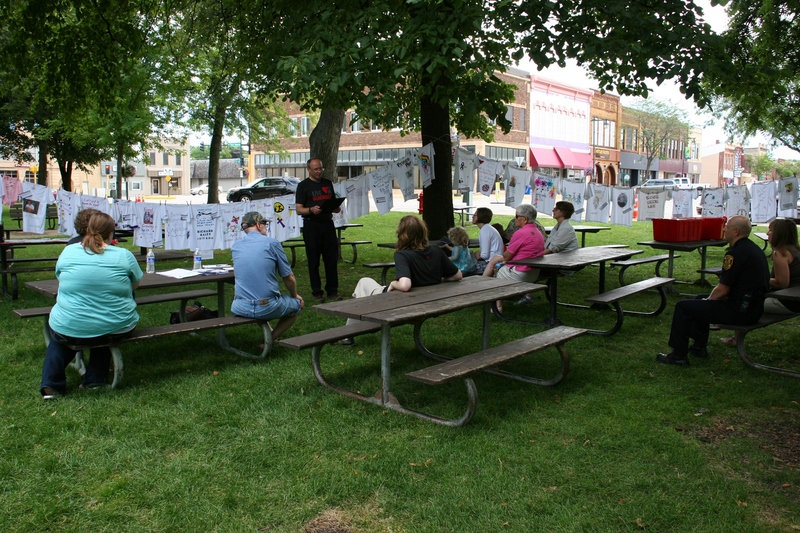 Kirk Griebel spoke to the group, read a mayoral proclamation and led a prayer. 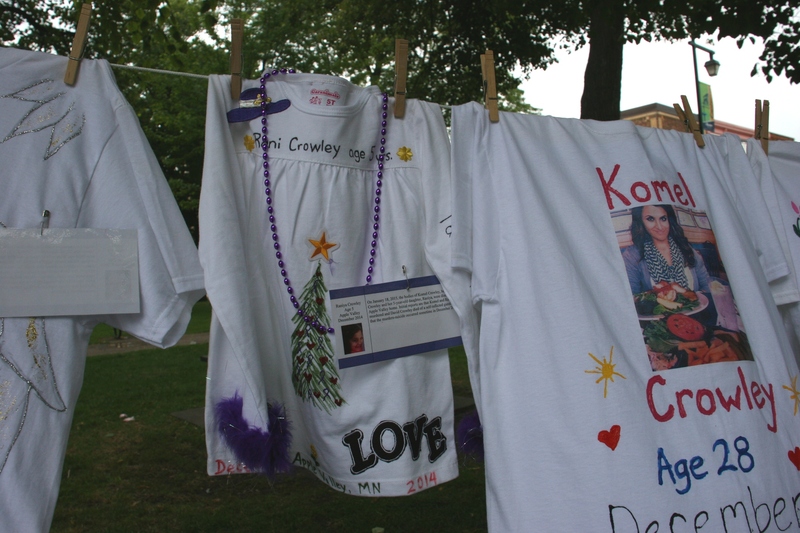 The t-shirts, strung on clotheslines between trees, are “a powerful and safe witness to those who have lost their lives through domestic violence,” the Rev. Kirk Griebel said. He is right. 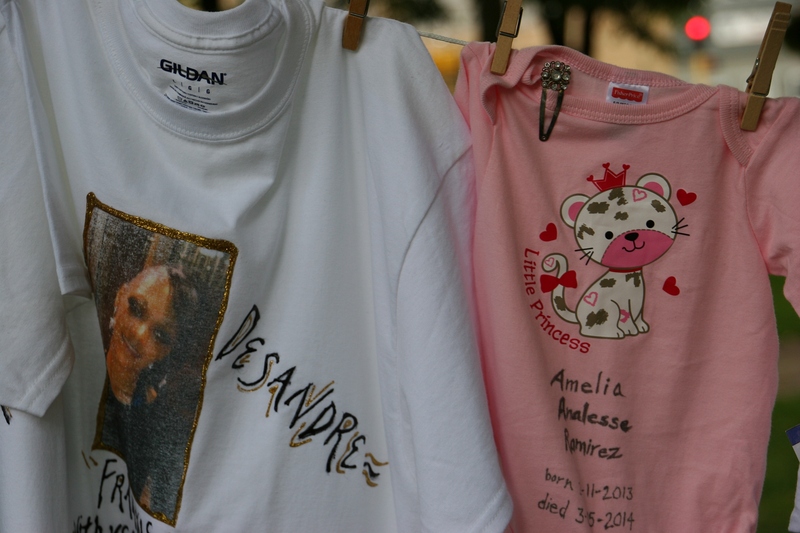 To see those shirts with names and art emblazoned thereon, to read dates and details and the horrors of the victims’ deaths makes a visually powerful statement. 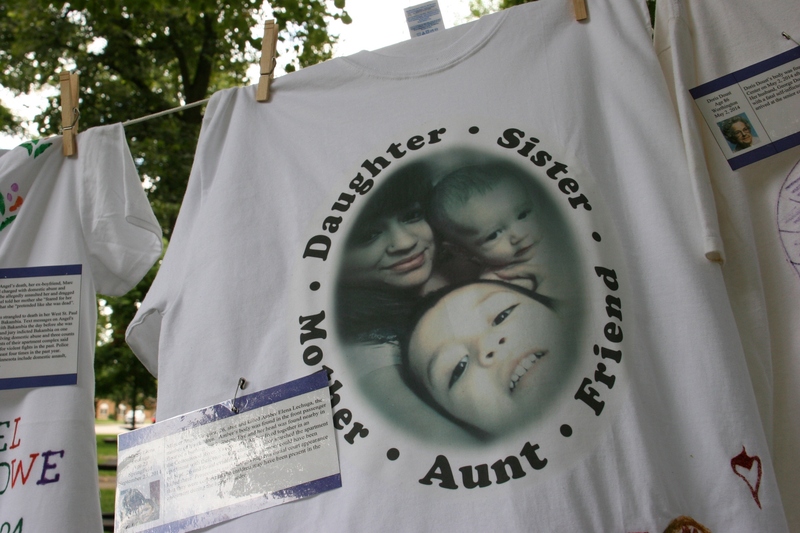 Domestic violence becomes up close and personal. 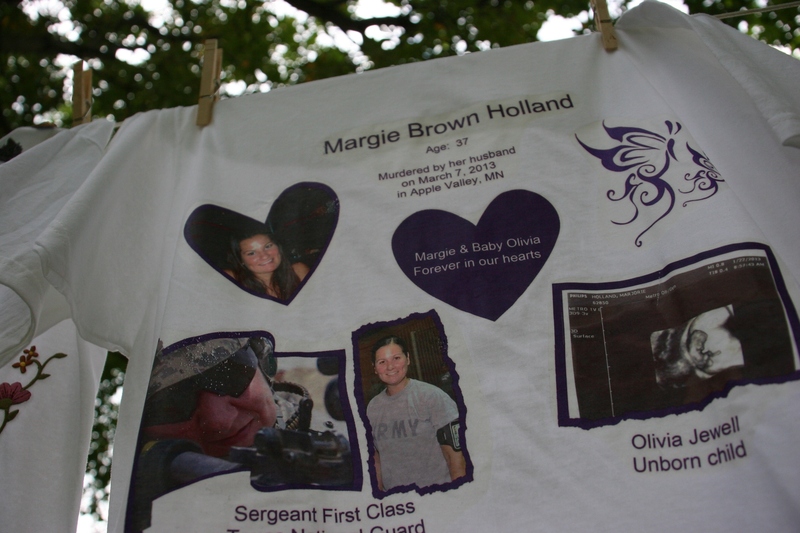 So personal for me that I noted two shirts honoring Margie Brown Holland and her unborn daughter, Oliva, murdered by Margie’s husband. 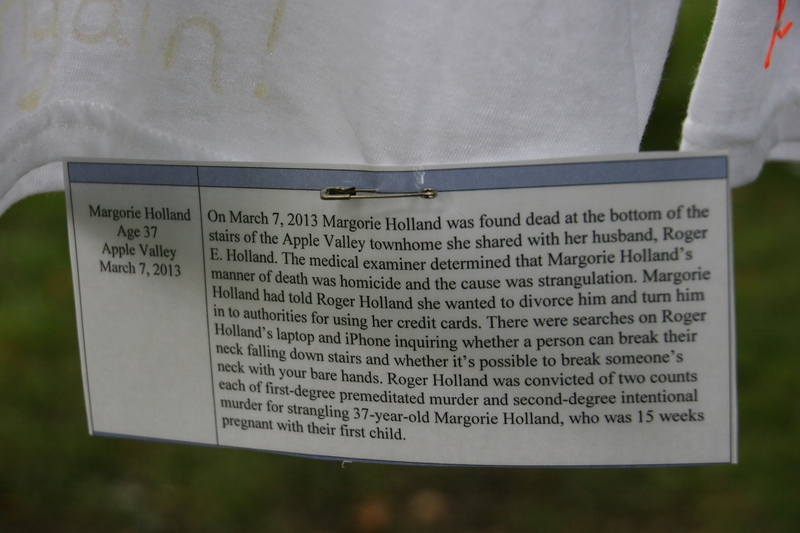 Margie’s dad once lived across the street from me in Faribault. 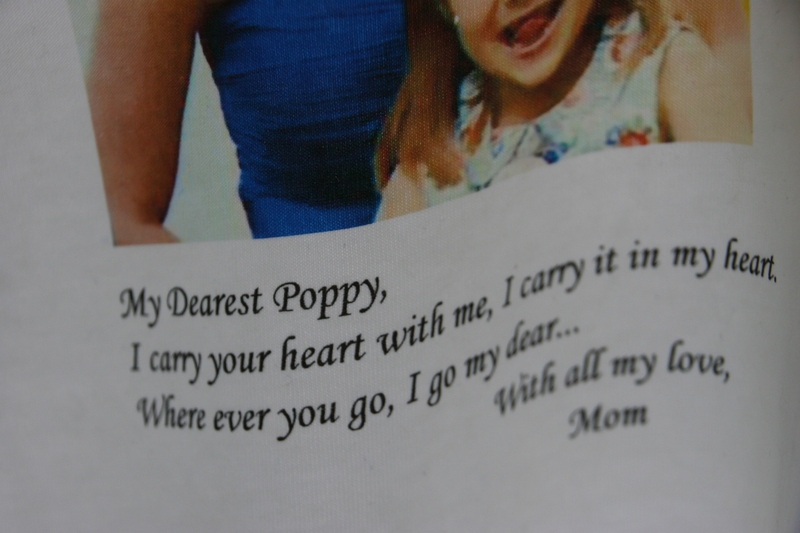 Words of love and grief and hope that touch the soul for the lives lost for those forever changed by the violence. 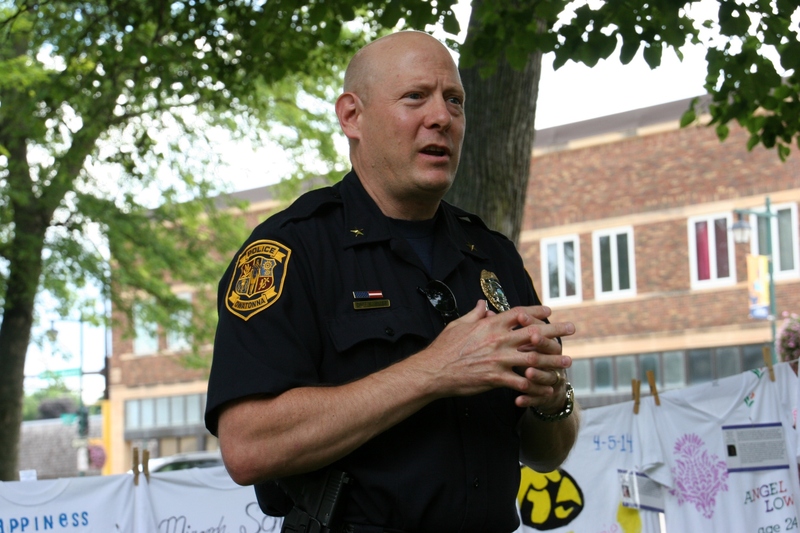 To hear Owatonna Police Chief Keith Hiller’s plea to “break the silence,” to understand that domestic violence is a community-wide problem is a statement worth repeating. 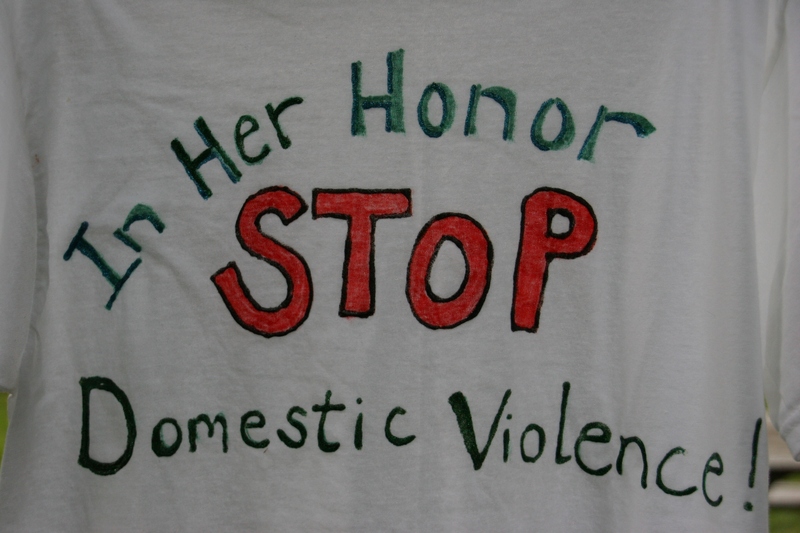 In 2014, his department responded to 184 calls of aggravated and other assaults, many involving domestic violence. He confirmed that in the field of law enforcement, more officers are killed while responding to domestic violence calls than any other type. Family dynamics, weapons, chemical dependency and mental health issues are often involved in these heated situations, he explained. 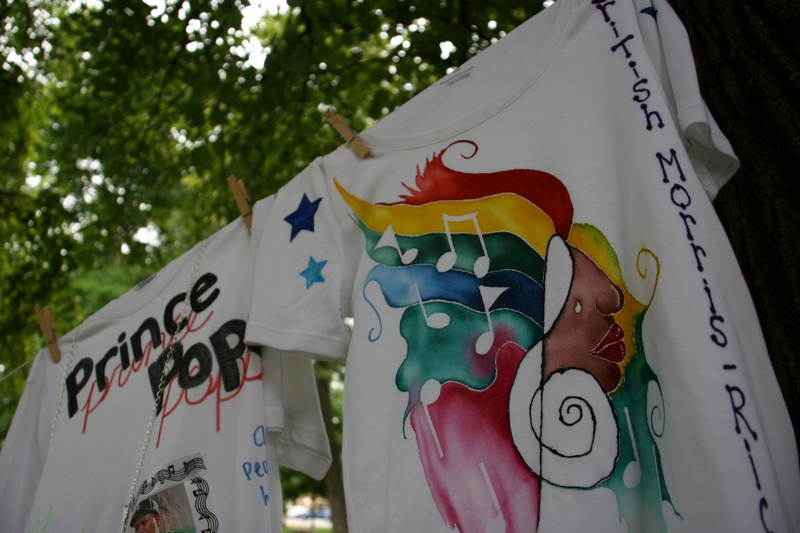 In a particularly chilling comment, Chief Hiller noted that in cases of strangulation, a matter of seconds may determine whether a victim survives or a t-shirt would be hung on the clothesline. 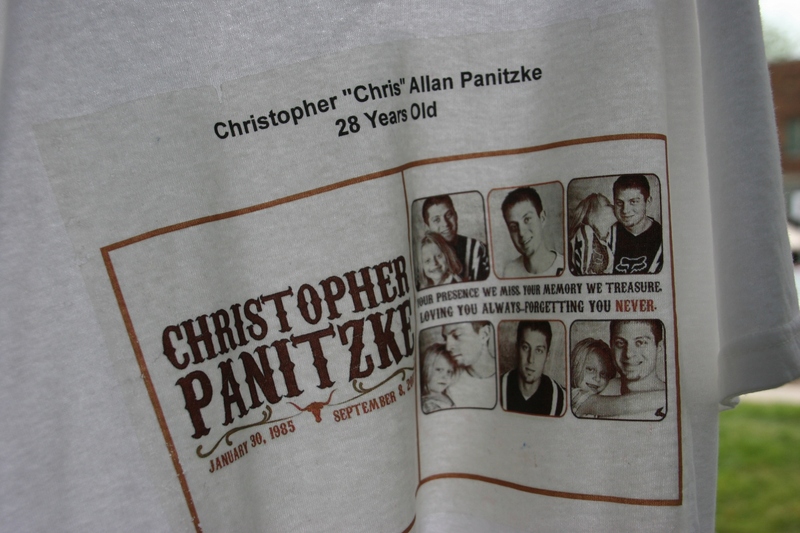 Life and death in the hands of an abuser. Seconds. 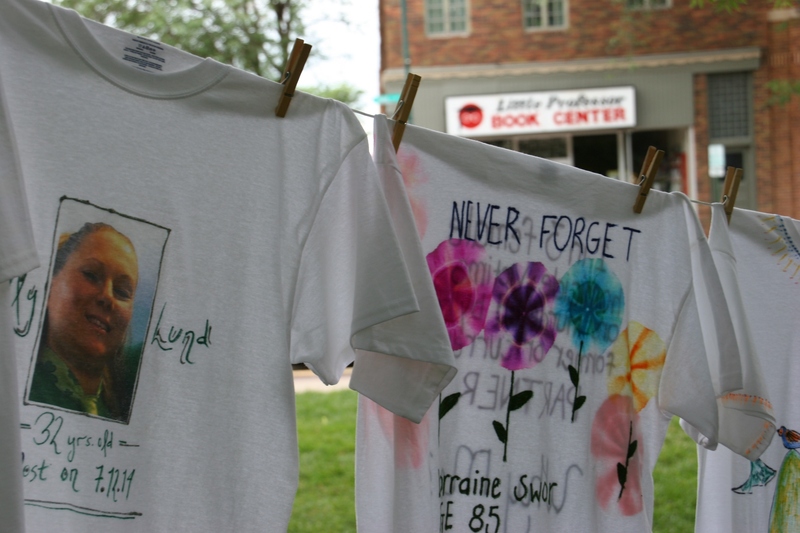 The police chief called for awareness and prevention, of working together. 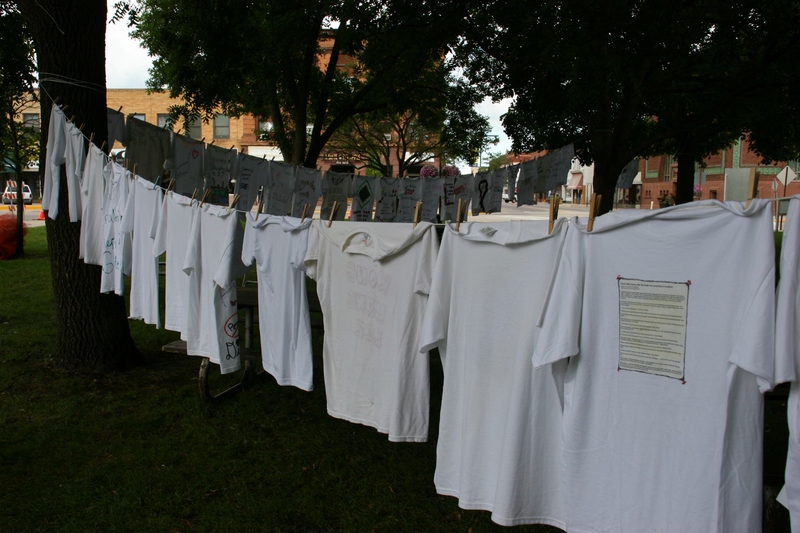 On Sunday afternoon in Owatonna, 60 t-shirts bannered that message in a deeply personal and powerful way. 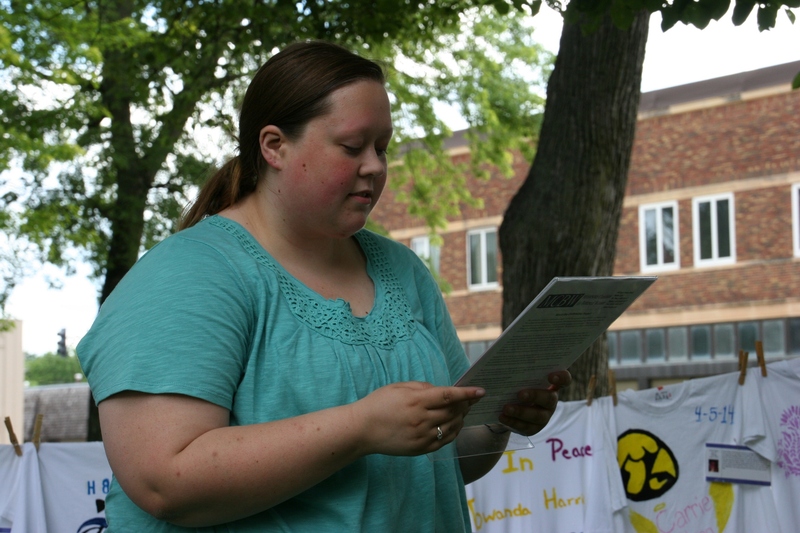 Laci Brune, sexual assault coordinator for the Crisis Resource Center of Steele County, reads the names of those who died as a result of domestic violence in Minnesota in 2014. She told attendees that, on average, a woman will leave her abuser seven or eight times before she finally leaves for good. FYI: If you are in a relationship that doesn’t feel right, it probably isn’t. If your gut is telling you something is wrong, trust your instincts. If words and behavior differ, if red flags are popping up, if you feel like your partner may be lying or using you, believe yourself, not him/her. Domestic abuse is about control and manipulation. 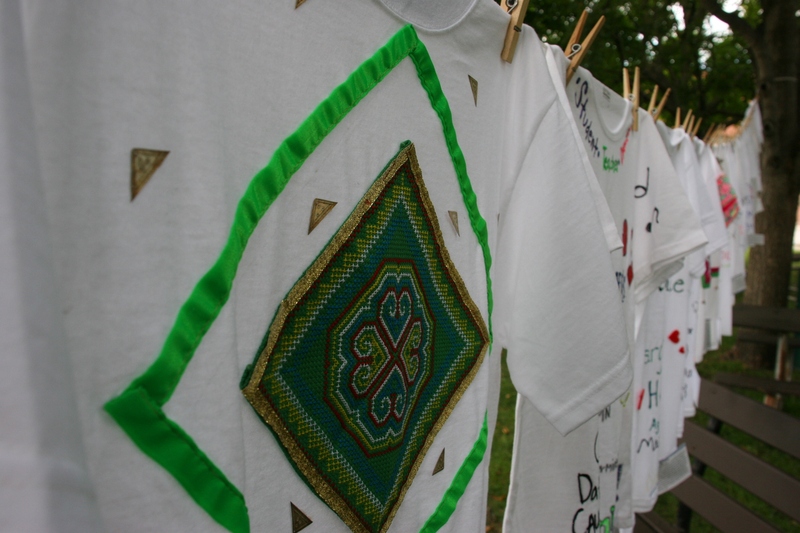 It can take the forms of physical (including sexual), mental, emotional, financial and spiritual abuse. If you are in immediate danger, call 911. Have a safe plan to leave. 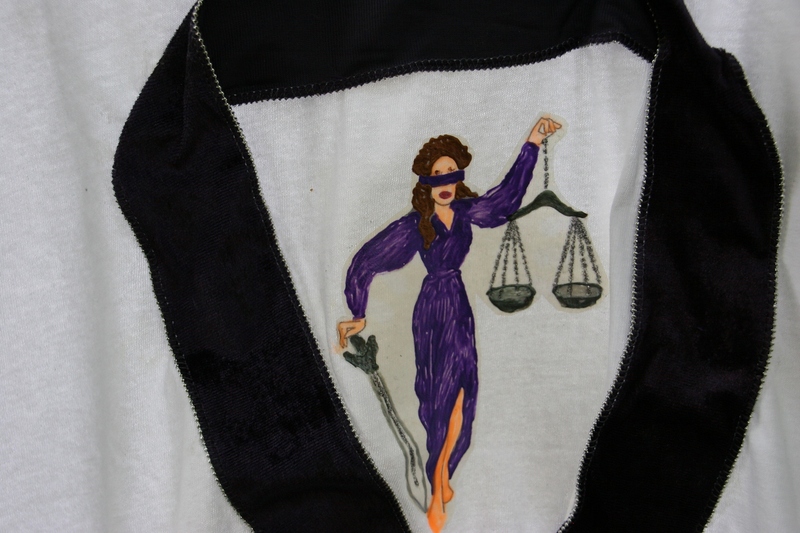 When you leave an abuser, it is the most dangerous time for you. 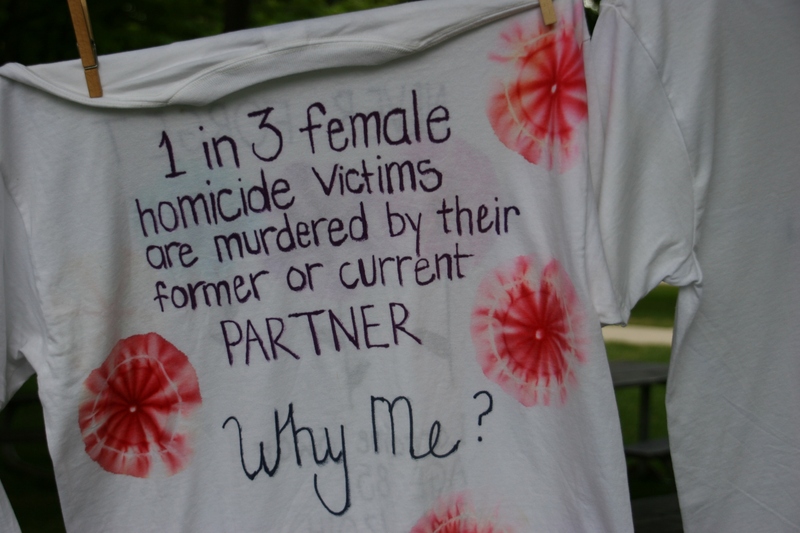 Seek help from a local resource center or safe house. Or call the National Domestic Violence Helpline at 1-800-799-7233. You deserve to be free. 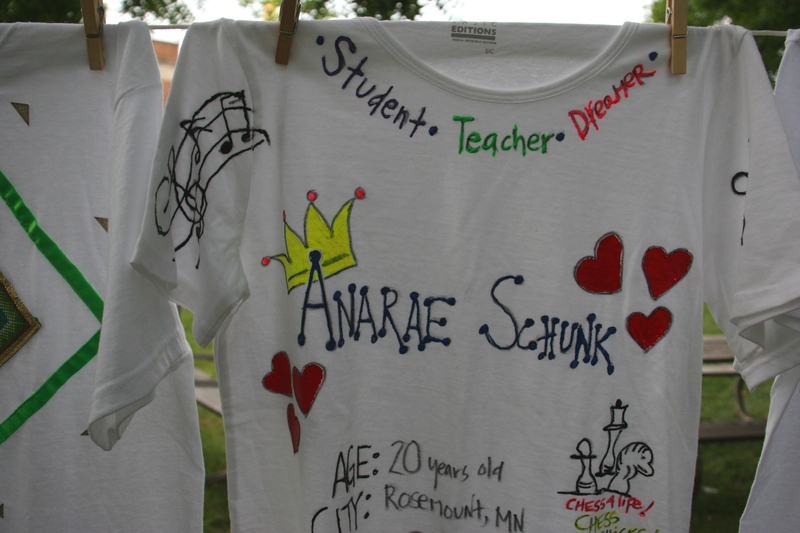 Thrivent Financial funded bringing The Clothesline Project to Owatonna.